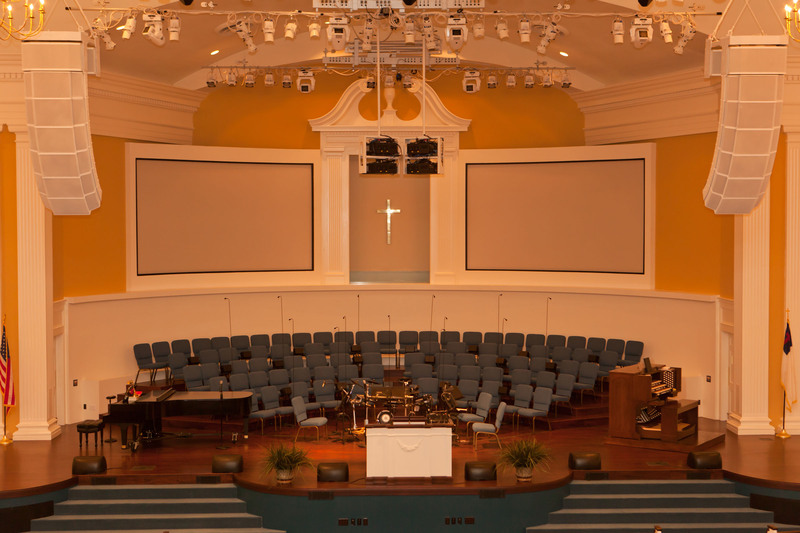 InfoComm, Orlando, FL, June 12, 2013 – The First Baptist Church of Boiling Springs, South Carolina, recently undertook a large scale project to upgrade technology in the church’s sanctuary. The church’s worship style incorporates elements of both traditional and contemporary worship, using choir and organ, plus a worship team and amplified instruments at the front of their 1,100-seat church. Several solutions were evaluated, but only one company offered a configuration so ideal that it was the equivalent of a custom-designed sound system: Bose® Professional Systems Division, whose RoomMatch® loudspeakers and PowerMatch® power amplifiers offered precisely what the job needed.